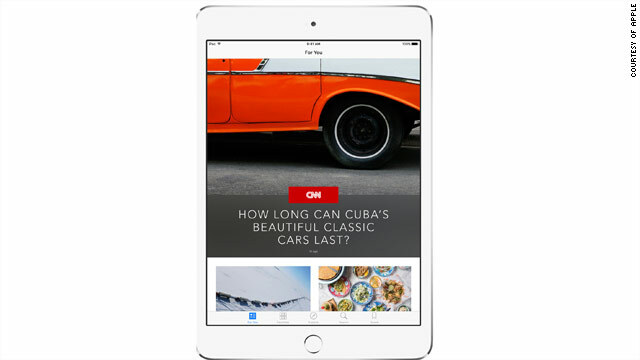 Following the release of iOS 9, users will now be able to access CNN on Apple News. CNN will be providing many of its signature news and enterprises stories to the app daily, including content from CNNMoney, CNN Politics and CNN Style. With the help of Apple’s unique publishing tools, CNN will also hand-craft feature stories blending photos, videos and animations to produce immersive, interactive experiences. Users will be able to explore CNN content in the app or choose the CNN channel from the favorites section. CNN stories will also be available to search and save.